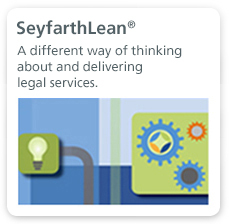 Business leaders who prefer to avoid the costs and risks of litigation turn to Seyfarth attorneys for experienced and innovative approaches to alternative dispute resolution. Our extensive work as both advocates and neutrals ensures that our clients are best prepared to resolve a dispute outside of court, whether the ADR is voluntary or mandated by a court or contract. Our attorneys have helped both public and private organizations resolve their disputes through cost-effective, well-managed and creative solutions. 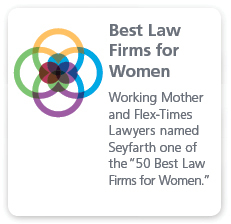 Seyfarth offers a full range of alternative dispute resolution services, including drafting mediation or arbitration contract clauses, advising and representing clients during ADR proceedings, and preparing clients for those proceedings, by conducting mock negotiation sessions, gathering relevant facts and anticipating issues that might arise throughout the process. 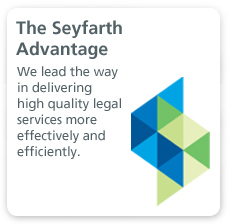 Seyfarth attorneys have been recognized as authoratative resources, publishing numerous texts on ADR issues, and serving as leaders for professional organizations that advance the practice area. For example, our firm is a proud member of the CPR Institute for Conflict Prevention and Resolution, a nonprofit think tank that offers a variety of resources and forums for dispute prevention and resolution. Additionally, one of our partners has been selected by the American Arbitration Association three times to serve as one of only three designated arbitrators for athlete and team disputes for the U.S. Olympic Committee. Our ADR team also looks for practical and innovative ways to deliver legal services effectively and efficiently. We use tools from our SeyfarthLean approach—such as process mapping, matter management and technology-based reporting—to provide greater efficiency in planning, greater clarity and transparency in reporting, and greater predictability in fees add billing. As a result, we create valuable business-oriented solutions that effectively meet our clients' objectives and maximize the value of their investment in us.